Dr Minesh Patel Bedford : Why Should You Go To The Dentist? Chrysalis Dental Practice know the importance of keeping up with your regular dental check-ups to ensure the overall health of your mouth. Here are reasons why you need to keep up with regular dental care. It is important for everyone to take good care of their teeth. Keeping them healthy is important to look your best, eat properly and avoid toothache. Here are some tips to help you keep your teeth clean and healthy. To avoid expensive and painful dental treatments you can do a number of things which are free, easy and can be done daily by everyone. Make sure you have a good toothbrush and do not keep your old toothbrush for too long. If you do it can gather bacteria and damage your gums when you do brush. Brush your teeth twice to three times a day. Use a quality toothpaste like Colgate as this will make a difference. Do not brush too hard and do the top and bottom teeth. Using mouthwash can improve the health of your gums and teeth. It can also improve your breath. If you don't have time to brush, you always have time to swish some mouthwash! Do it at least once a day. Do not swallow mouthwash and wash your mouth out with water to ensure it doesn't remain after using it. Dental floss can improve your dental health and remove bits of food trapped between your teeth. 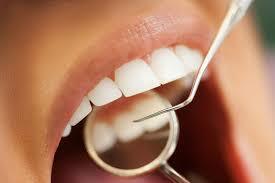 It is better to use floss than a toothpick or try to get it out by brushing hard with your toothbrush. Do not overuse floss as it can create gaps in your teeth. If you would like to add your own review to the blog you can do so by contacting the practice in Bedford. 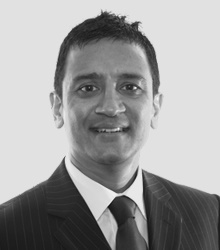 Find out more about Dr Minesh Patel dentist and Chrysalis Dental Practice here. Connect with Dr Minesh Patel Bedford here. Visit the Dr Minesh Patel website here.